Galcar Spanish Natural Slate is a beautiful unfading black slate quarried in Northwestern Spain. 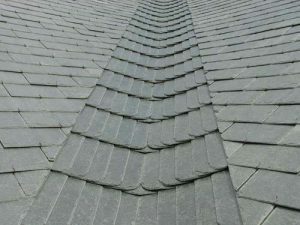 This slate offers more texture to the roof, unlike the smooth looking roofs associated with other slate from that country. Characteristics: Real textured appearance. Traditional look. Galcar Spanish Natural Slate is produced from one source with a long history of exporting high quality slates to the marketplace. RILCO can supply a variety of sizes, colour and thickness.